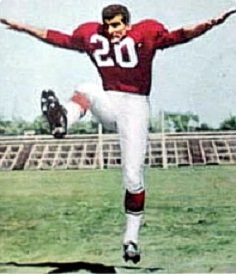 A third-round draft choice in 1970, Blount was most notable on kickoff returns as a rookie but worked his way into the lineup by his third year. 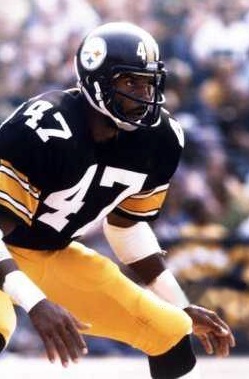 A master of the bump-and-run, he became a key member of the vaunted defense as Pittsburgh won its first Super Bowl following the ’74 season. 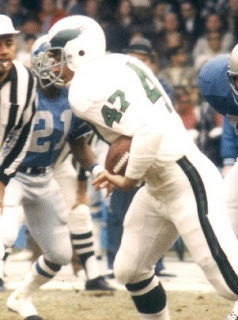 Blount led the league with 11 interceptions in 1975, receiving NFL Defensive Player of the Year honors from the Associated Press as well as consensus first-team All-NFL and Pro Bowl recognition. Blount followed up with three more Pro Bowl selections over the course of the next four seasons and received at least some first-team All-league honors in 1976 and ’77 and second-team in 1978 and ‘79. Steelers went 8-8 to finish second in the AFC Central while leading the conference in interceptions (30). Having been chosen to a fifth (and last) Pro Bowl, Blount played two more seasons through 1983. Fast, physical, and durable, he lasted for 14 years, all with Pittsburgh, and missed only one game due to injury. Blount ended up intercepting a team-record 57 passes and was inducted into the Pro Football Hall of Fame, Class of 1989. Boozer rushed for 2537 yards and 22 touchdowns in college, averaging 6.8 yards per carry. He was chosen by the Jets in the sixth round of the 1966 AFL draft (the Pittsburgh Steelers took him in the seventh round of the NFL draft) and, brought along slowly by Head Coach Weeb Ewbank and nagged early on by a foot injury, rushed for 455 yards on 97 carries (4.7 avg.). With his speed and outstanding balance, he proved to be a much-needed outside runner to complement FB Matt Snell and was chosen to the AFL All-Star Game. 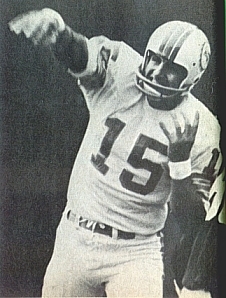 He got off to a sensational start in 1967 before being felled by a knee injury in the season’s eighth game. Jets went 8-5-1 to finish second in the AFL Eastern Division while leading the league in total yards (5152) and passing yards (3845). Injuries would remain a chronic problem for Boozer. 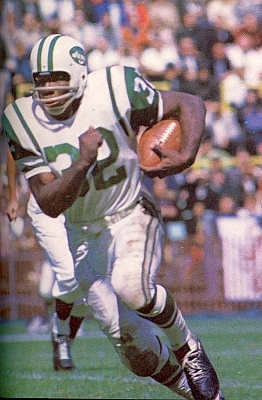 In 1968, after a slow start he came back to rush for 441 yards and gain AFL All-Star Game honors as the Jets won the AFL Championship. He played a total of ten seasons, all with the Jets, performing well when healthy and co-leading the NFL in touchdowns with 14 in 1972. 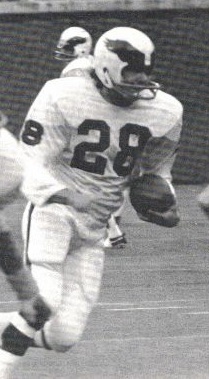 Boozer, who became a capable blocker, had a high of 831 rushing yards in ’73 despite diminished speed. Overall, he rushed for a then-franchise record 5135 yards on 1291 carries (4.0 avg.) and caught 139 passes for 1488 yards (10.7 avg. ), scoring a total of 65 TDs. Boozer was inducted into the Maryland Eastern Shore Hall of Fame and College Football Hall of Fame. In his prime, HB Hugh McElhenny was arguably the most electrifying open field runner in the NFL. He was fast, elusive, and with outstanding cutting ability that made his breakaway runs, in which he often crisscrossed the field, highlight favorites. 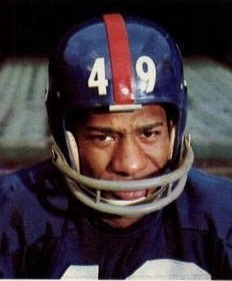 But by the time he was acquired by the New York Giants on July 17, 1963 he had played for 11 seasons and the cartilage had worn out in his left knee. Obtaining the 34-year-old McElhenny from the Minnesota Vikings for two future draft picks (fourth round in 1964, second round in ’65) was thus considered a gamble, but one the Giants were willing to take to add depth to their corps of running backs. While the passing game directed by QB Y.A. Tittle had been outstanding as the club topped the Eastern Conference in 1961 and ’62, the running attack was less formidable. 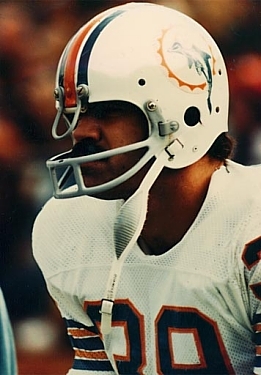 The starting halfback was Phil King, a workmanlike fifth-year pro with a history of injury problems. FB Alex Webster was 32 and, while a proven power runner, was on the downside of his career. Backing up was the versatile but unexciting Joe Morrison, and no younger prospects had shown staying power. Head Coach Allie Sherman was especially interested in finding someone with outside speed, and there was hope that McElhenny still had something left in that regard. 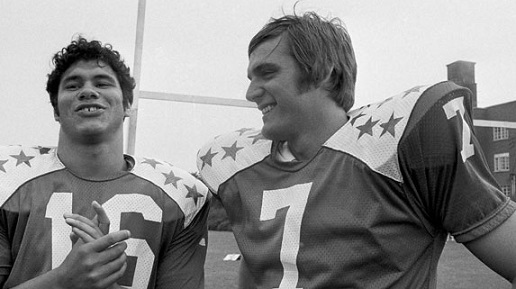 The 6’1”, 195-pound halfback was reunited with his ex-49er teammate Tittle with the Giants. 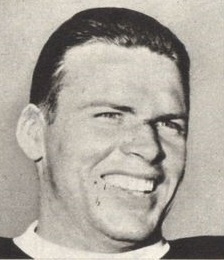 “The King” was a first-round draft choice out of the University of Washington when he joined San Francisco in 1952, and made an immediate impression when he averaged seven yards a carry and scored a total of ten touchdowns as a rookie. He was a consensus first-team All-NFL selection in each of his first two seasons. An excellent complement to FB Joe Perry, McElhenny was at his best on draw plays and screen passes. Over the course of nine years with the 49ers, was chosen to five Pro Bowls as he rushed for 4288 yards on 877 carries, for a 4.9-yard average with 35 TDs, caught 195 passes for 2666 yards (13.7 avg.) and 15 scores, averaged 6.5 yards on 99 punt returns that included another touchdown and 23.0 yards on 65 kickoff returns. Overall, that was a total of 9100 all-purpose yards and 51 TDs. 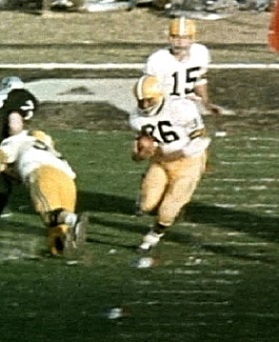 With the 49ers on a youth movement, McElhenny joined the expansion Vikings in 1961. There he gained 570 yards on the ground, tied his career high with 37 pass receptions, and returned a punt for a touchdown. He was named to one last Pro Bowl, but advancing age and bad knees took their toll the following year. As a backup for the Giants, McElhenny was often unable to practice due to his knee problems, but he proved useful off the bench. In the opening-week win over the Colts, McElhenny caught a touchdown pass and he had his biggest performance in a midseason showdown with the Browns at Cleveland. He ran the ball 13 times for 53 yards, both season highs, caught one pass for a six-yard TD, and returned a kickoff 51 yards as the Giants won decisively. Meanwhile, Webster managed to play in just half of the games, with Morrison forced to thus fill in at fullback. Overall, McElhenny rushed for 175 yards on 55 carries (3.2 avg. ), had 11 pass receptions for 91 yards and two TDs, and had an additional 210 yards returning kicks. The Giants won the Eastern Conference for a third straight year before bowing to the Bears in the NFL Championship game. McElhenny provided one highlight in that contest by returning a kickoff 47 yards, in addition to gaining 19 yards on seven rushing attempts and catching two passes for 20 yards. 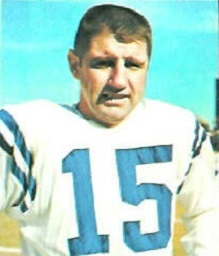 “The King” returned in 1964 but failed to make the team, and caught on with the Detroit Lions in what was his final year. He retired after having gained 11,369 all-purpose yards, one of only three players up to that time to have crossed the 11,000-yard threshold. 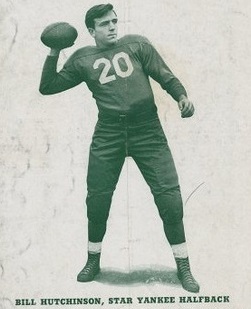 McElhenny was inducted into the Pro Football Hall of Fame in 1970. 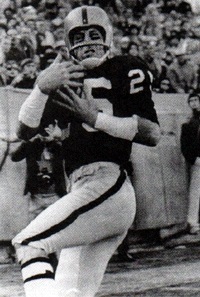 As for the draft choices the Vikings obtained for McElhenny, the fourth round pick in 1964 was used to take tackle Tom Keating from Michigan, who joined Buffalo of the AFL instead and had his best years as a DT with the Oakland Raiders. 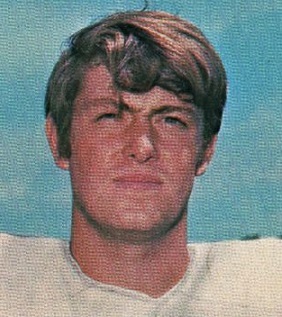 The 1965 second-round selection brought Illinois OT Archie Sutton, who lasted for three seasons as a backup with the Vikings and appeared in a total of 19 games.